Silver 2010 Jeep Wrangler Sport 4WD 3.8L V6 SMPI 4WD. 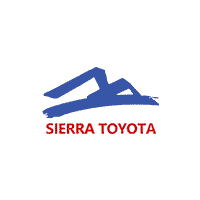 Sierra Certified! *Only the Best of the Best Vehicles Qualify *All Used Vehicles, All Makes and Models *3 month/3,000 mile Comprehensive Warranty *12 month/12,000 mile Powertrain Warranty *12 month Tire Road Hazard/Full Road Side assistance *Each Sierra Toyota Certified Vehicle has passed a Rigorous 100-Point Quality Assurance Inspection *CARFAX Vehicle History Report *Auto Biography. Recent Arrival! Odometer is 4509 miles below market average!